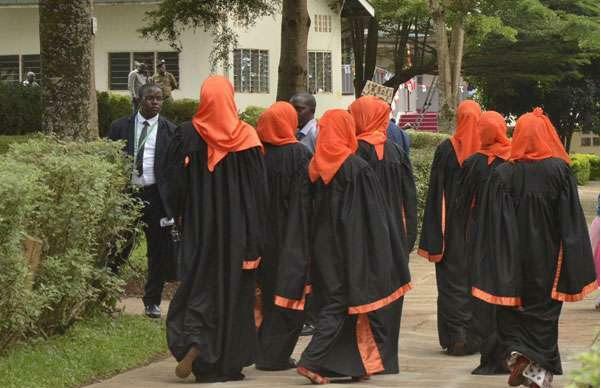 The disciplinary committee at Islamic University in Uganda, Mbale campus, has suspended 23 students undertaking different courses on allegations of engaging in s*xual relationships, contrary to the university regulations. The university coordinator, Dr. Sulait Kabali, who also doubles as secretary of the disciplinary committee, told Daily Monitor on Monday that the students were found guilty of breach of university rules and regulations. “The students were found guilty of coupling and having s*x on campus, which is contrary to the University rules and regulations, Mr. Kabali, said, adding that other students were also found guilty of theft of property, consuming alcohol and other narcotic drugs, pregnancy and staging acts of violence at the campus. According to the letter dated April 14, 2018, the students were reportedly found in the dark corners on different occasions engaging in love affairs. “During the cross-examining to which you were subjected to, the above Disciplinary Sub-Committee and based on your oral and written submission in which you stated that you were found in darkness engaging in love affairs, you were found guilty of having committed the above-stated offence hence having violated the above-cited rule,” reads part of the letter addressed to the suspended students. Mr. Kabali said the suspension, which will last for one year, should act as a strong warning to other students, saying University administration will not hesitate to expel any student who breaches the rules and regulation governing the University. The suspended students, who included finalists, were about to sit for their examinations. The affected students were given one week to appeal if they felt the suspension was not just or fair and indeed Ms Rehema Katono, the public relations officer, acknowledged that the University disciplinary committee will soon sit again to have a final conclusion on the students, who have appealed against their dismissal. “At the moment, we cannot declare that we have suspended or discontinued them because the final conclusion has not been made as yet regarding their appeals,” she said. One of the affected students, who preferred anonymity for fear that his appeal may be revoked, said disciplinary committee was too harsh in its judgment. “I find it so astonishing that the committee based its judgment on an offence I committed two years ago when I had just joined campus. The punishment is too harsh,” he said. The university is governed by sharia. According to Ms. Katono, if a student is interested in the other for a s*xual relationship, they should apply to the Dawah committee for consent and be allowed to marry officially. But even as a married couple, you’re not allowed to hug, kiss on the campus or sit with someone of the opposite s*x for more than 10 minutes without the third party. There is also no free mixing at the university between female and male students during lectures and in the compound. “We are not allowed to sit together with our male counterpart and chat for long. They are always monitoring us,” one of the students, who preferred anonymity said.